There have been many times throughout my riding career where I've tried to explain the experience to someone who hasn't even sat on a motorcycle with little success. There's just no way to really understand it if it's something you haven't done. The other side to that is that there have been many rides I've been on by myself and tried to talk about to other riders, and can't remember exactly where it was or how the roads were. Well, if you've ever been in the same boat, Contour Tool makes a really neat helmet camera with GPS capabilities. 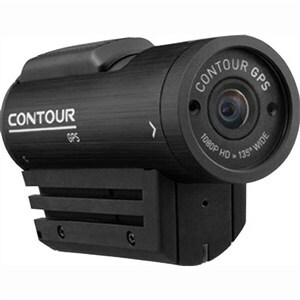 The Contour GPS/HD Full HD Helmet Camera captures in 1080p video and utilizes a 135-degree wide-angle rotating lens. It has all the bells and whistles of most high-end digital cameras, except the camera links up to GPS and will actually display your location on a map next to the video playback. I've seen some of the videos that this thing produces and the quality looks great, the built-in microphone captures the sound fine, and being able to see the map layout next to the video seems like it would help people who weren't on the ride get a sense of where it was and what it was like. There are other cameras out there, but this is the first time I've seen them with a GPS functionality built in. If you're looking to get the experience of filming your ride but don't need the GPS add-on, you can check out the GoPro.